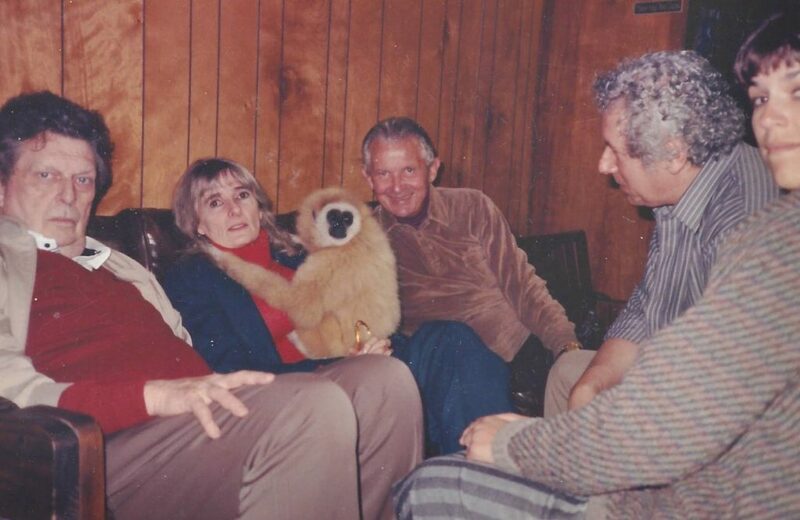 It was in March 1985 that tiny Elizabeth Gibbon, then just nine months old, reached IPPL from the now-closed Silver Springs tourist facility in Florida. She was very small and her mother had rejected her soon after she was born. She was lovingly cared for by a caregiver named Joann. 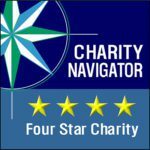 Finally the manager of Silver Springs decided that Joann was spending too much time with Elizabeth, and IPPL was asked to provide her with a new home. Of course, we agreed. John McGreal drove to Gainesville. One of the first things he did was to remove her diapers which are so unnatural for primates! 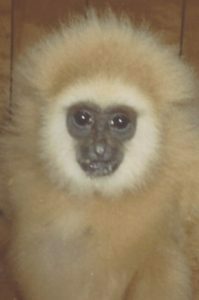 My thinking is that, if God intended gibbons to wear diapers, there would be diaper trees growing in jungles! Baby Elizabeth Today, at 33! Elizabeth settled in quickly. She was a thumb-sucker when she arrived and has never stopped. While still a baby, Elizabeth met two celebrities, the visiting writer and animal-lover Cleveland Amory, founder of the Fund for Animals, and the late Henry Spira who fought the use of animals in cosmetic testing. When she was six years old, she was paired with Ahimsa. They have been a devoted to each other since 1990! We learned from Joann that Elizabeth had a brother named Alfie and a sister named Miranda, both of whom Joan hand-raised. But both were sent away from Silver Springs. Then we learned that Alfie had ended up at a facility then called Reston Zoo. Linda Howard and Shirley went to see him and were amazed to see Alfie swinging around – with his thumb in his mouth. He was the same golden beige color as Elizabeth. 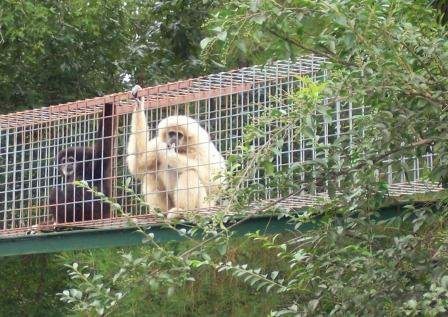 The current owner of the facility says it has no gibbons. So, where is Alfie? IPPL wants to know. Linda Howard and Shirley also learned that Miranda was living at Buddy Jordan’s hunting ranch in Bulverde, Texas. We contacted the owner to ask if we could come and visit her. His answer – No. We still hope to confirm her whereabouts. Many years later the state of Florida decided to close down Silver Springs. Joanne was involved in finding new homes for over 100 animals. She asked IPPL to accept Elizabeth’s mother Glenda, Glenda’s mate Gary, and her two siblings. They all arrived here safely in 2013. 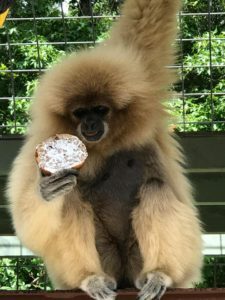 Update: After first posting this on IPPL’s facebook page, we learned that Elizabeth’s younger brother Alfi is at the Leesburg Animal Park in Virginia. He looks very much like Elizabeth – still with his thumb in his mouth. His photo is on their website. http://www.leesburganimalpark.com/meet-the-animals/. We hope anyone living in the area can go and say hello for Shirley and send her a message. Meanwhile, the search for Miranda continues.  Anyone with information, please contact IPPL!